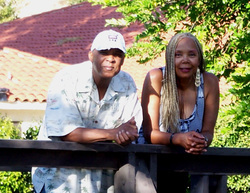 Brandiva & Sir Jerks – Fine catering of Caribbean and mouth watering Soul Food. 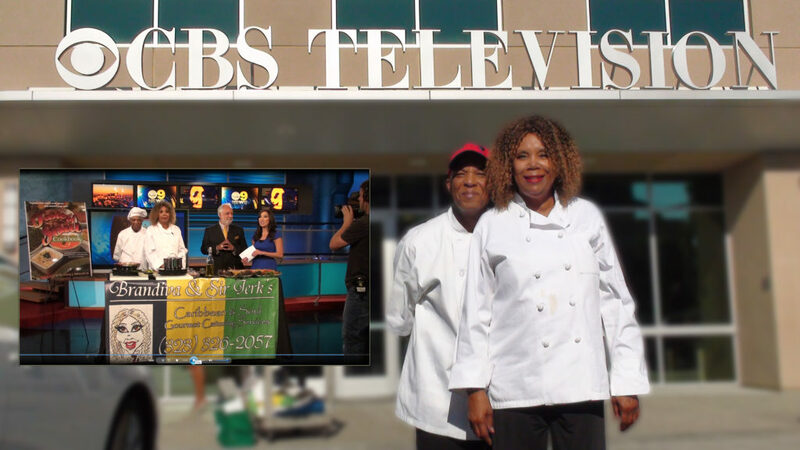 Brandiva & Sir Jerk’s specialize in gourmet Caribbean and mouth watering Soul Food. Everything is made from scratch using fresh ingredients and home-grown herbs. We use only extra Virgin Olive Oil and create our own special oils using fresh herbs. SOUL FOOD MEETS JAMAICAN GOURMET! Life breathes hot stuff into this combo –Brandiva & Sir Jerk and their unique gifts of culinary artistic pairings. 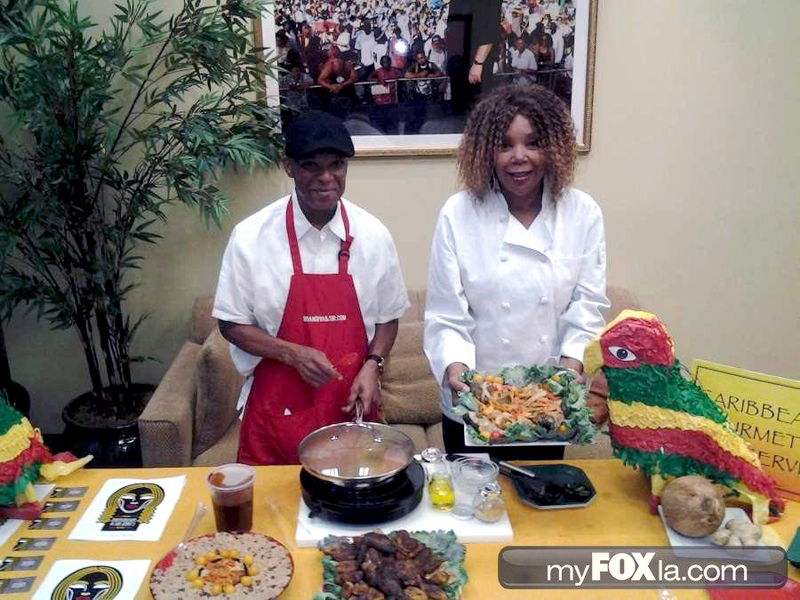 Brandiva and Sir Jerk are expanding their business “The Caribbean & Soul Gourmet Catering Service” to spread the love into the Los Angeles area. Sign up your next party or event to include Jamaican Jerk Chicken with Red Beans and Rice, Ja Pepperpot Beef Spinach, and a Peach Cobbler that they will never forget. All are lovely and easy to work with. One thing that stands out about this operation is the heart and Soul that goes into their dishes, their life, and everyone that is fortunate enough to experience them. This food that breathes the Soul back into you – and that is contagious. Brandiva is from Cleveland, Ohio and has been cooking since she can remember. After a modeling career and a lucky hook up with her Jamaican “Sir Jerk”, Karl Thomas, they together decided that food was the best way to enjoy life – and a catering company could do it. Thus, this was the beginning of a love affair with the simple yet authentically natural cuisine of the Islands and two people with true Soul. One who Jerks everything and one that can bake you under the table. This dynamic duo who will hit the scene with heart and Soul. Caribbean & Soul Gourmet Catering Service provides full catering services and tailored menus to fit any special event perfectly. Seasonal vegetables, traditional Soul Food standbys and Bakery/Desert options are all taken to new levels of yumminess and originality. 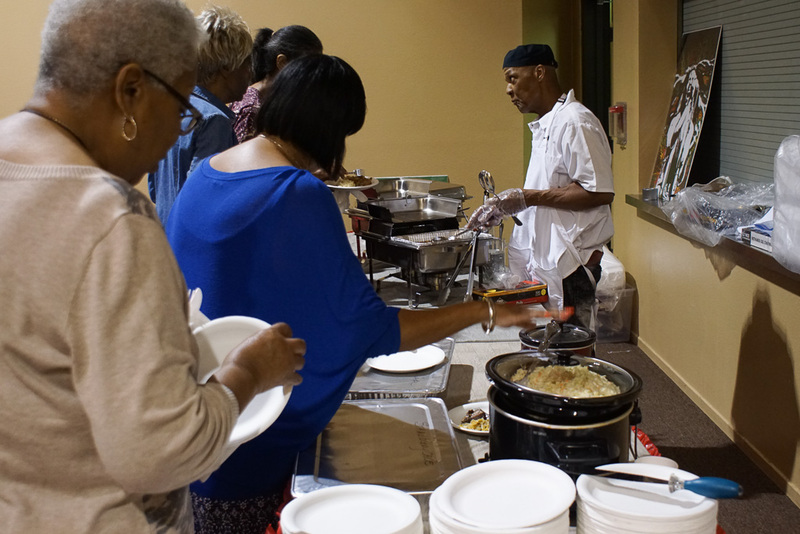 You’ve never tasted Soul Food this good. The sweet potato pie will enter your dreams. Sir Jerk is the real deal baby and will show you that the tastes of the Caribbean are some of the finest cuisine in the world. Together a dream of good food has been extended to you. Experience Brandiva And Sir Jerk’s for yourself and you will have a new favorite.